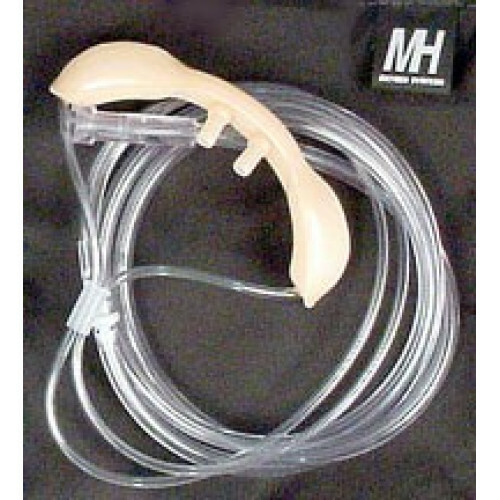 The Oxymizer 'M' type (moustache-style) oxygen-conserving cannula is the most popular version. The Oxymizer is standard issue with the XCR and XCP systems and may work with almost any adjustable constant flow regulator. Also available on request is the Oxymizer type 'P' or pendant-style Oxymizer. 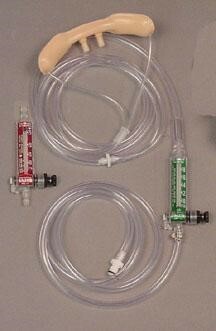 Also shown is the oxymizer cannula with optional MH3 and MH4 flow-meters. Description Moustache-style Oxymizer cannula only, with XCP Flow-meter style oxygen fitting. Fits many other Flow-Meters as well.